The art-minded, Pink-Moment'd village throws a Centennial Picnic. 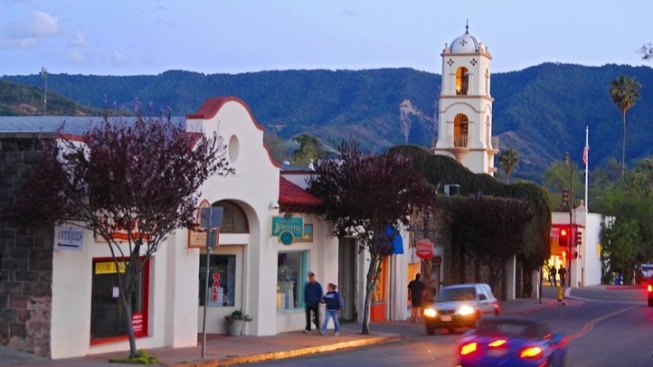 Ojai is marking its 100th. Love this special village? Be in Libbey Park on Saturday, April 8. CENTENNIAL JUBILEE PICNIC: An outdoor get-together feels authentically Ojai, yes? Especially a picnic happening during Ojai Pixie Month (spoiler alert: It's April), and especially a picnic happening on a beautiful Saturday. The date is Saturday, April 8, the place is beloved Libbey Park (long a hub for the town's outdoorsy doings), and live tunes and vintage cars'll be out for lookie-loo-ing. This is a BYOP kind of thing, so pack your picnic, and come prepared to raise a lemonade to Ojai's first century. It's a century that's been filled with good dining, and writerly residents, and bucolic pursuits, and, yes, so much citrus. Do you adore Ojai? There's a 100th birthday picnic in your immediate future.